As the U.S. women’s basketball team makes final preparations before it faces Indiana Fever forward Natalie Achonwa and team Canada in Group B play tomorrow, Elena Delle Donne and Breanna Stewart decided to put on a little show for those in attendance at Team USA’s practice. 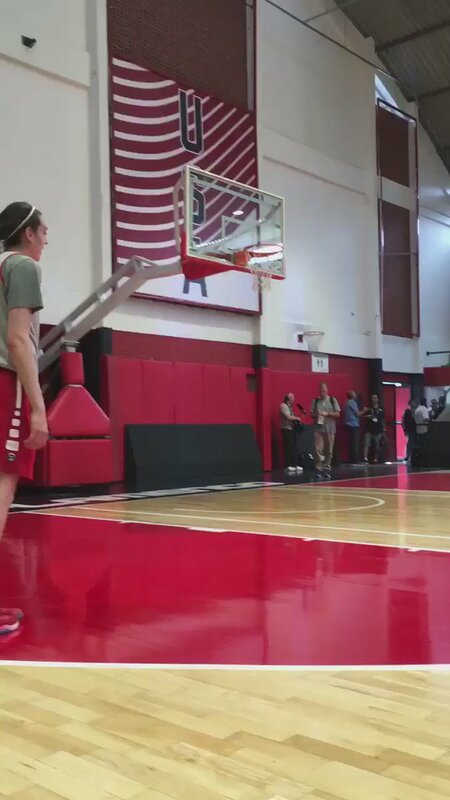 USA basketball tweeted a video this afternoon of Chicago Sky shooting guard Delle Donne and Seattle Storm forward Stewart combining for a sweet alley-oop slam during team practice — serving to both showcase the players’ athleticism and dispel any rumors that WNBA players can’t play above the rim. Yes, those still exist. Also ICYMI, Angel McCoughtry of the Atlanta Dream did this last night in team USA’s 110-84 win over Serbia.